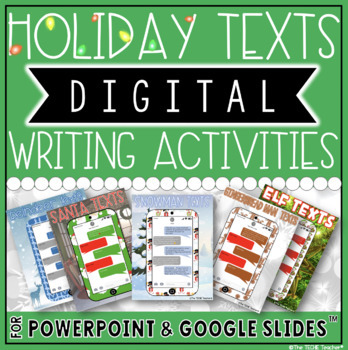 Students will love crafting these Holiday Texts which make fun, Christmas themed digital writing activities! 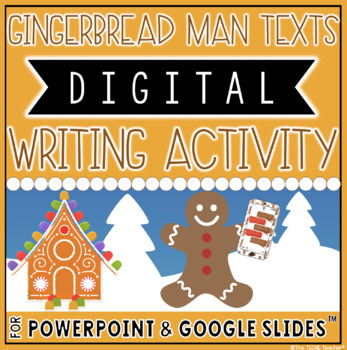 This resource comes as a Google Slides™ and PowerPoint file which contain 5 different digital writing templates. Each template is also sold individually from my store. 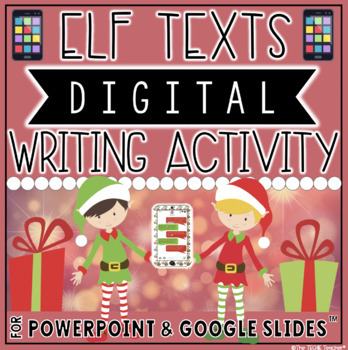 Directions: Students pretend that the cell phone belongs to a holiday character (there are templates for: Santa, Elf, Reindeer, Gingerbread Man or Snowman) as they type a texting conversation between that character and any other person/character of their choice. They will have to plan out their conversation carefully in order to fit everything in the provided bubbles. Two different templates are provided for each holiday character: 5 texting bubbles vs. 6 texting bubbles. I have already typed the text in the first bubble to serve as the writing prompt but this can be deleted or edited to fit your needs. An example of a completed texting conversation is included. Files can be downloaded individually. 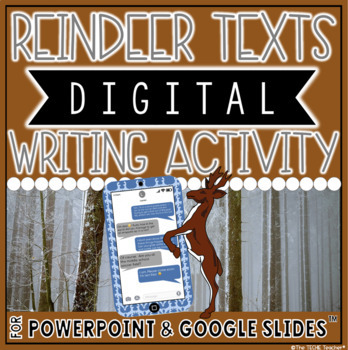 I have also included a Google Slides and PowerPoint file that has all 5 cell phones combined in one presentation if you would like to assign all writing activities at once. You can assign these file individually for students to complete. Or you could duplicate the slides to make a collaborative presentation and assign each student their own slide to work on. They will have a blast reading through all of the conversations their classmates created!